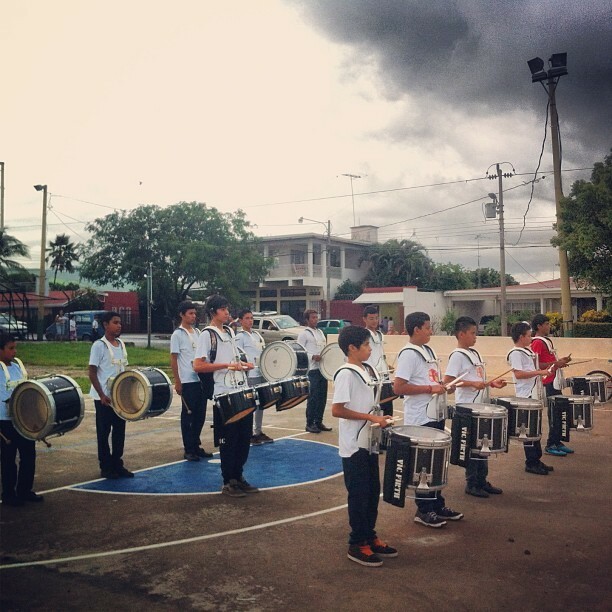 The ‘BandaMLL Drumline’ is the drumline for the Banda Monseñor Luis Leipold Marching Band from Cañas, Costa Rica. This band was founded in 1982, and the drumline started in 2010. Our members are between 12-18 years old. We are inspired by marching percussion and we have performed in local shows, concerts and parades around the country. Currently we’re preparing our show for this season and constantly working on our music program. Every one of us works to develop a good program for our ensemble.